The Gaiam Solid Yoga Mat is a standard entry-level yoga mat for beginners. At the same price point, though, we think you can find better alternatives. 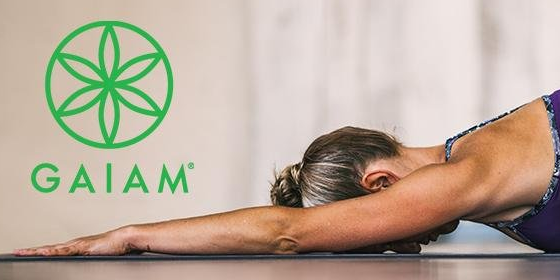 Find out where the Gaiam yoga mat comes up short, and what other brands you should consider. 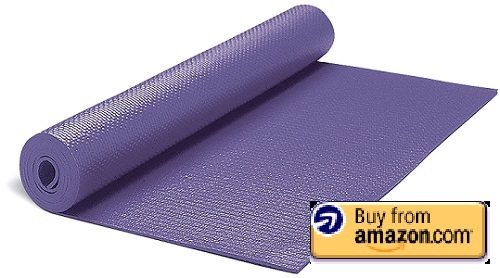 The Gaiam Yoga Mat is made from PVC, which means it is extra light despite its 5mm thickness. This PVC is safe for those with latex-allergies and reasonably durable. 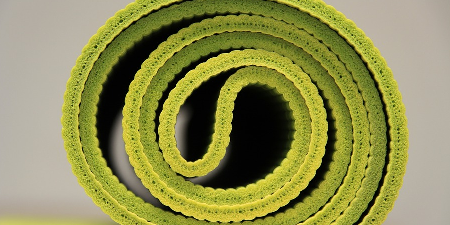 Mats come in two sizes: a standard 68″ x 24″ and an extra long 78″ x 26″ .The 5mm thickness provides extra cushioning, which is great for yoga beginners. 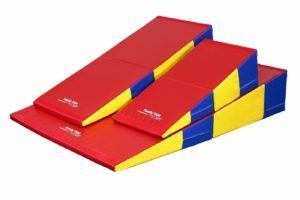 The upper layer of the mat is textured to provide traction and improve grip. We’ll come back later to how well it works. 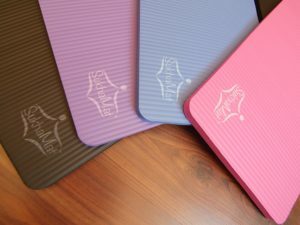 The standard mat costs less than $20 and has a simple solid color on each side. 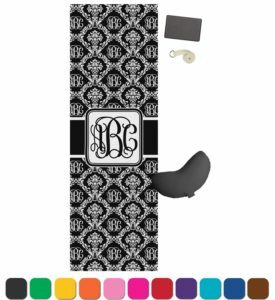 More expensive versions available here are identical except for a choice of printed pattern. Should you buy the Gaiam Yoga Mat? 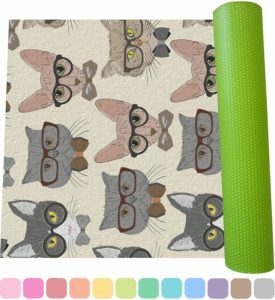 At its price point, you don’t expect a budget level yoga mat to be perfect. However, the Gaiam yoga mat has a glaring error that makes it unusable for normal yoga. The mat is extremely slippery. If you read the reviews on Amazon, you find over and over again that people complain about the lack of traction. Under hot yoga, you expect mats to become slippery. Hoewver, many people report the slippery problem during normal yoga use. The grip does not improve after breaking in the mat or washing several times. 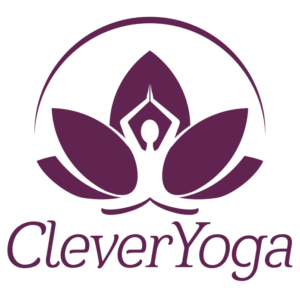 If you are looking for budget-level yoga mat for beginners, we instead recommend the Clever Yoga Better Grip mat, which we review here. It costs about the same price, but has a much better grip even under sweaty conditions. 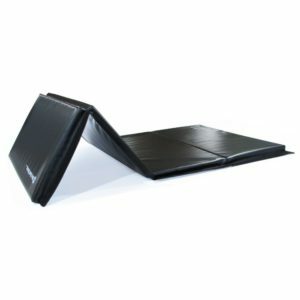 The Clever Yoga mat also comes with a lifetime warranty. 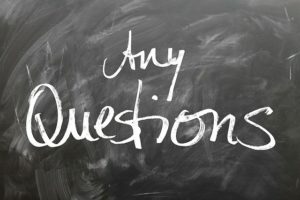 Otherwise, we recommend you read our main review on how to choose a yoga mat.